Did you know there’s a way to leave your suede jacket on as you trek through the mud? The same bottle of fabric guard used to protect outdoor fabrics, convertible tops and RV awnings can be used to keep favorite garments soil- and stain-free. 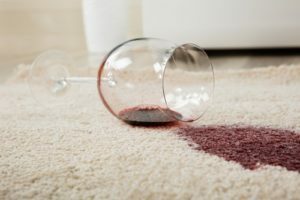 With one treatment, spills, splatters, and scuff marks are no longer a concern. For best results, treat fabrics in warm weather (at least 70 degrees or warmer). 1. Take your clean, dry clothing item and place it on a flat surface. You may choose to cover the surface with newspaper. 2. In a well-ventilated area, preferably outside, apply 303 Fabric Guard on the clothing item until damp, overlapping in a crisscross pattern. Do not saturate. 3. Move clothing item into direct sunlight, preferably outside. This allows the 303 Fabric Guard to cure. 4. Let dry for 6-12 hours before using or storing. You can also add a blast of warm air from a hair dryer to help the product bond to the fabric if you are working indoors. You can also add a blast of warm air from a hair dryer to help the product bond to the fabric. What new uses have you found for our high-tech fabric guard? Comment below! Can you use Fabric guard on indoor furniture( couch ) as long as you do it outside in the sun? Hi Karen, no you cannot . It is for outdoor fabrics only. We recommend 303® Stain Guard for Indoor Fabrics instead. Please contact us at marketing@goldeagle.com if you have any questions about this. Thank you.